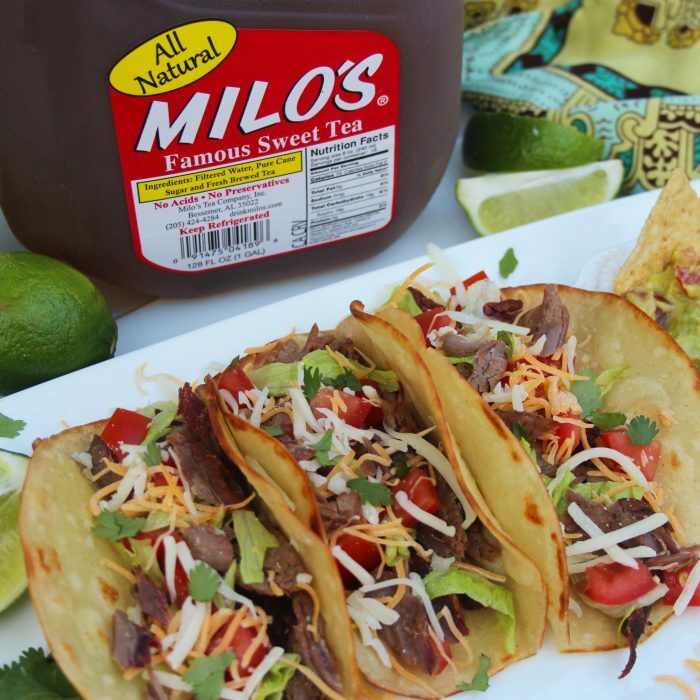 6-Ingredient Milo's Famous Sweet Tea Brisket Tacos - Milo's Tea Company, Inc.
Pat the brisket dry with paper towels. Rub the brisket with the seasoning and place in the slow cooker. 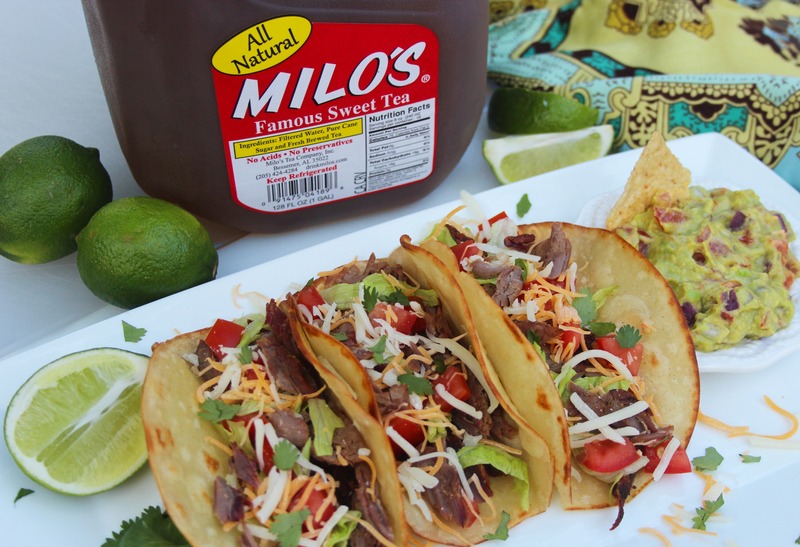 Add the Milo's Famous Sweet Tea and lime to the slow cooker. Cook on high for 8-10 hours, or until fork tender. Remove any excess fat from the brisket and shred meat with a fork. Serve in a warmed tortillas topped with salsa and cheese. You can always substitute with guacamole and cilantro!